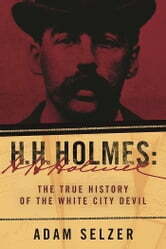 H. H. Holmes: The True History of the White City Devil uncovers not only the true story of Holmes but also how the legend evolved. It uses hundreds of primary sources that have never been studied before. This includes letters, articles, legal documents, and records that have been tucked away in archives for more than 100 years. While H. H. Holmes is now as famous as he was in 1895, a thorough analysis of modern materials clarifies how much of the story as we know it came from reports who were far from the action, an incredibly unqualified new police chief, and lies from Holmes himself. This book is a tale of an outlaw. It covers Holmes’s own story with new insights. The author, Adam Selzer, has uncovered stunning new data about Holmes. He combines turn-of-the-century America, the crazy group of characters who were in and around the famous “castle” building, and the killer’s own background. This book is the first fully accurate account of what truly happened in Holmes’s horror castle. 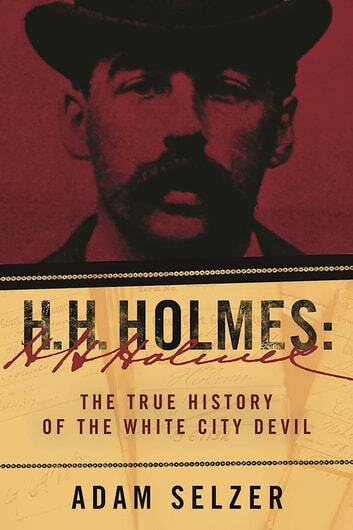 H. H. Holmes, with its exhaustive research and careful detail, is an irreplaceable partner to the upcoming Leonardo DiCaprio and Martin Scorsese movie about Holmes’s murder spree based on Erik Larson’s The Devil in the White City.